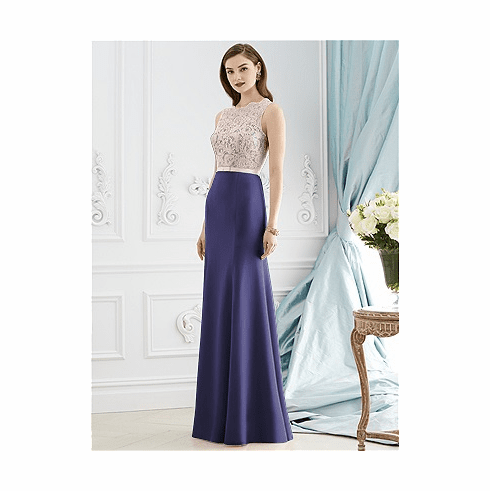 Description: Full length sleeveless marquis lace and nu-georgette dress. Lace bodice has bateau neckline and open back. 1" attached grosgrain bow belt always matches lace color. Nu-Georgette trumpet skirt.